Something is happening in the U.S. when it comes to antibiotics and chicken. Last week, McDonald’s announced that it will phase out antibiotics from its chicken supply in the U.S. by March 2017. Just days later, Costco Wholesale Corp made a similar announcement. 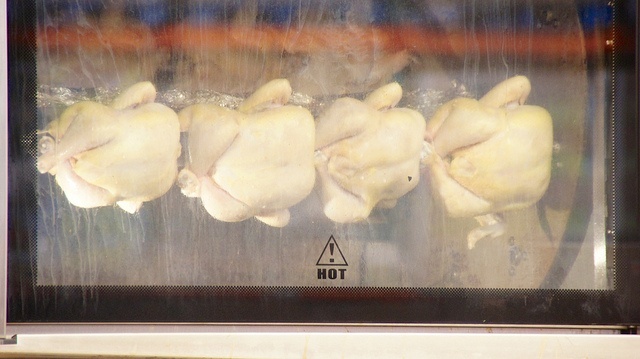 Costco, which sells 80 million rotisserie chickens a year, told Reuters last week that it will stop selling chicken and other meat from animals raised with antibiotics that are needed to fight human infections. The company has not yet set a target date for phasing out antibiotics. Antimicrobial resistance (AMR), including antibiotic resistance, is a major problem. The World Health Organization calls it a an “increasingly serious threat to global public health that requires action across all government sectors and society.” The organization sites the “inappropriate” use of antimicrobials, a class of drugs that includes antibiotics, among livestock as a cause of AMR. Perhaps that is why Craig Wilson, vice president of food safety at Costco, told Reuters, “I mean, you’ve got to protect human health beyond everything, and so we think eliminating shared-use antibiotics is the right way to go.” Wilson said that Costco is working with its suppliers and regulatory agencies to phase out the “shared-use of antibiotics in animals.” He added, “I think all of us want to move to a point where we can get the human-use antibiotics out of the system. It's going to take time." McDonald’s and Costco are not the only companies phasing out antibiotics in their chicken supply chains. Tyson Foods, one of the world’s largest processors of chicken, beef and pork, is working to phase out the routine use of antibiotics among livestock. As the company states on its website, its philosophy is “to use antibiotics only as needed and only when prescribed by a veterinarian.” For that reason, Tyson has been working since 2011 to achieve its goal. Tyson has made progress. As of Oct. 1, antibiotics were no longer used at its 35 Tyson Foods hatcheries. Perdue Farms, a major chicken processing company, has phased out the use of human antibiotics from 95 percent of its chickens. The chickens raised for the company never receive antibiotics for growth or have human antibiotics added to their feed. The company's policy is a stricter one than the new Federal Drug Administration (FDA) guidelines announced in December 2013. Companies are finally realizing that many American consumers are concerned about the routine use of antibiotics among livestock. It’s about time!